When it comes to real estate marketing, sometimes the littlest things can make a big difference. 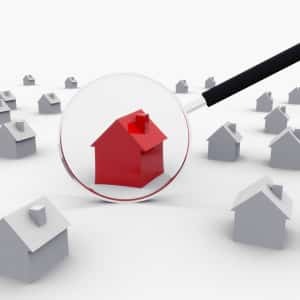 Now that the large real estate directory sites are so aggressively marketing their services, independent real estate agencies can sometimes find it difficult to make an impression. Prospective customers are inundated with real estate marketing materials, emails, and online advertisements on such a regular basis that they’ve begun to tune them all out. So how can a real estate professional make an impression on local home buyers and sellers? Ho-hum marketing strategies just aren’t going to work; unless you come up with some killer real estate marketing ideas, your agency could find itself ignored and sidelined. The answer is surprisingly simple and yet difficult to do: find a way to give your real estate marketing strategies an extra edge that will set them apart and get them noticed. At For Sale Marketing, we’ve found some easy fixes that may be exactly what your marketing strategies need: they’re a little flashy, a lot of fun, and a definite remedy for boredom. Animated GIFs are enjoying a resurgence in popularity because they possess an amazing ability to engage the attention of readers. Companies of all types have found success adding them to their marketing messages, because a single, well-chosen GIF adds a touch of delight and interactivity that really makes an email stand out. There are a lot of ways realtors can use GIFs to jazz up a monthly email newsletter. You can use a GIF to highlight a key real estate term, or draw attention to a specific element on your newsletter. Bring a comedic touch to your real estate email marketing by adding a GIF of a well-known actor’s double-take alongside a listing to highlight a large price drop. Instagram’s Hyperlapse app may be just what you need to set your postings apart from the rest. While today’s smartphones have a high resolution that makes the videos you shoot crystal clear, most agent-shot videos have a shakiness to the images that clearly marks them as amateur operations. In the past, you’d need to spend thousands for a high-end video camera or professional videographer services to impart a polished look to the videos you use in your real estate marketing strategies. Instagram’s free Hyperlapse app changes everything. Hyperlapse has several neat features, including the ability to time-compress videos, but the feature that truly sets it apart is its incredible image stabilization. The smoothly flowing look it gives your real estate videos adds a professional polish that makes any listing look like a million bucks. Whether you’re looking for more real estate marketing ideas, or comprehensive real estate marketing strategies, you can always count on For Sale Marketing. Our dedicated marketers can help develop an effective online real estate marketing strategy using a responsive real estate website design with lead generating forms, dynamic SEO content creation services, detailed marketing analytics, and more. For more realtor marketing ideas and top tips to get your agency noticed, turn to the marketing experts at For Sale Marketing. Our skilled staff can review your current marketing strategies and develop an effective, comprehensive real estate marketing campaign that includes social marketing, SEO strategies, email marketing, and more to secure your agency’s success. Contact us at For Sale Marketing today at 954-779-2801 for more real estate marketing ideas along with comprehensive marketing support services to ensure your agency’s success!